I've never raised koi fry but I've been a fish geek most of my life and I know plenty of other who also fall into this category. Here's what I can tell you from my experience and the experience of others. Fish grow most (fastest) when they are young. If they are to reach their full genetic potential, they need to be grown fast when they are young. Young, fast-growing fish need higher protein food than older fish. Stunting a fish with retarded growth when they are young cannot be compensated for later in the fish's life. Feeding heavy and often promotes fast growth. However, you need be careful to keep good water quality as good water is essential to good health and fast growth. This can be tricky as you need to offer enough food to keep them growing but not pollute the water. I know a guy who used to raise angelfish. He changed nearly 100% of the water in every tank every day. People who raise discus are also water change fanatics. Changing water relates to ridding it of growth-retarding hormones. There are some charts which I copied off the internet, and I'll provide below - but note that the VBGF is for farmed Koi - and that most ornamental fish in home ponds GREATLY exceed the weight at which those fish would be harvested for food... 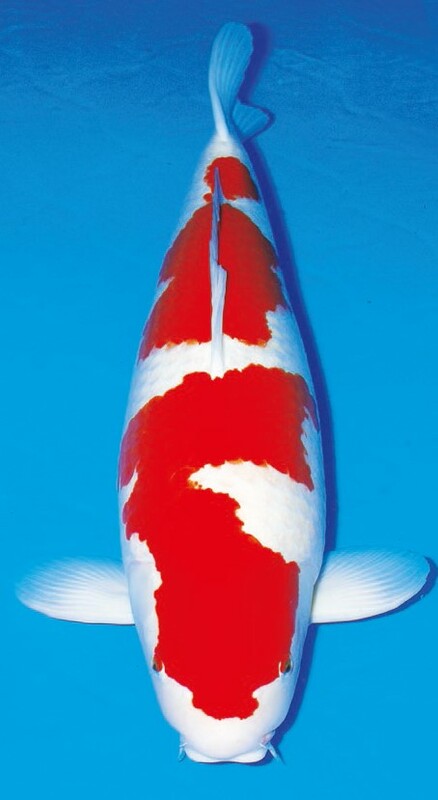 Unfortunately, that means that there is not a very good correlation between size and weight for Koi - we certainly see skinny Koi and Koi that can weight twice as much and be exact same length... And the same can be said for length vs. age - it varies considerably, based on many factors, including genetics and water quality, type of food, etc.